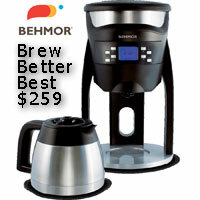 I do medium roasts on my Behmor 1600 +.Oily beans are not for me at this time as I am still sorting out my wants. Chocolate is what I get when I do espresso on my Breville Barista Express. Hence the above Title. Different beans give the various shades (tastes) of chocolate. Some cups need a bit of sugar and some don't. 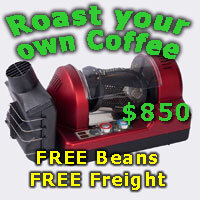 I know that I can roast lighter or darker to get other flavors and will start on that path soon. Can I adjust my shots based on time and visual color to bring out other flavors without changing my current roast level? The BES 870 is a decent starter machine and that's about it. To appreciate all the notes and nuances you need a good grinder and the Breville's inbuilt grinder is not really good enough, the steps being to far apart. You can only go so far with this machine and then it's upgrade time. I've had mine 4+ years now and would love to upgrade, but just can't afford it at present. Just changing the grinder first will improve your shots. So the chocolate shades ( tastes ) are only present on a good starter machine or is this also the shades on the Rocky or La Maz until a good quality grinder is put forth? I realize that I must learn a hell of a lot more about espresso. Whiskey prices do not reflect quality or taste ...just the marketing BS that drives up the costs. I have put in the time & $ to find what I like without a worry as to cost. I love certain Irish, Scots & Canadian( especially Ryes) as well as Yankee whiskey! Price is not the arbiter...taste wins every time! I have not had any Aussie whiskies yet...but I am sure they are over the bar as well as any other countries drams. I am currently well pleased with the 50 shades of chocolate that my starter machine cranks out.